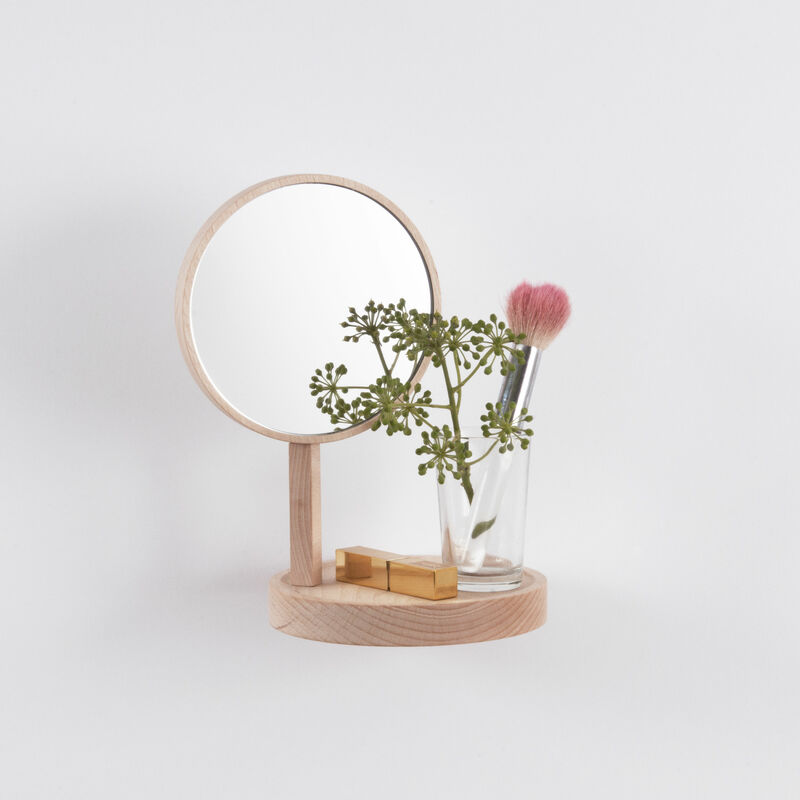 Designed by the talented designer Inga Sempé, Belvédère is a small wooden shelf (Width 20 cm x Depth 14 cm x H 22.5 cm) with a built-in mirror! This beech disc has a built-in screw that attaches directly to the wall. As the evidence is barely visible, you’ll be amazed that this little shelf is only supported by its edge. 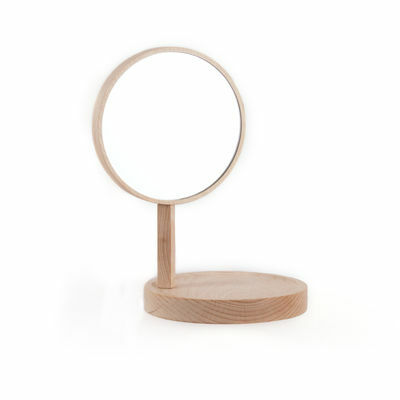 Belvédère lets you display your favourite objects like museum pieces! With Belvédère, try your hand at being an artist and let your imagination have its say by transforming your interior into a mini-gallery of "home" artworks. Highly practical, Belvédère's built-in mirror can be used for a last check of your hairstyle before leaving the house. 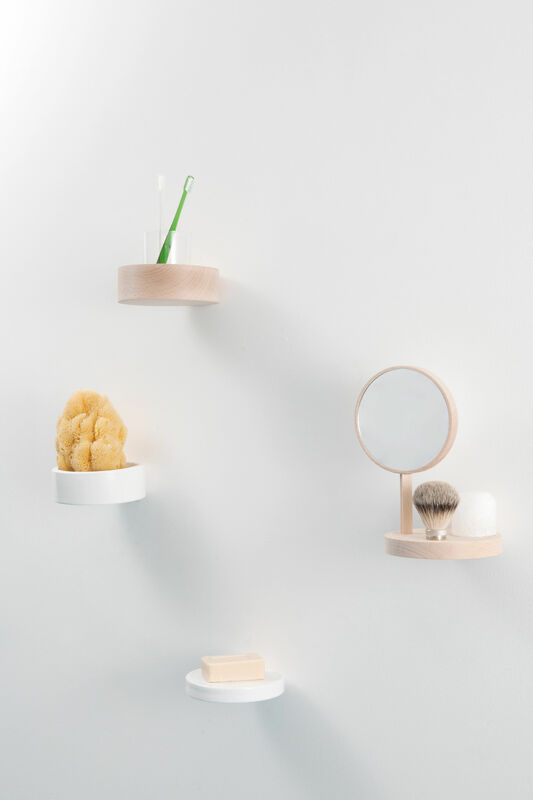 Belvédère can also serve as a shelf in the bathroom... One thing is sure: It can be used anywhere. 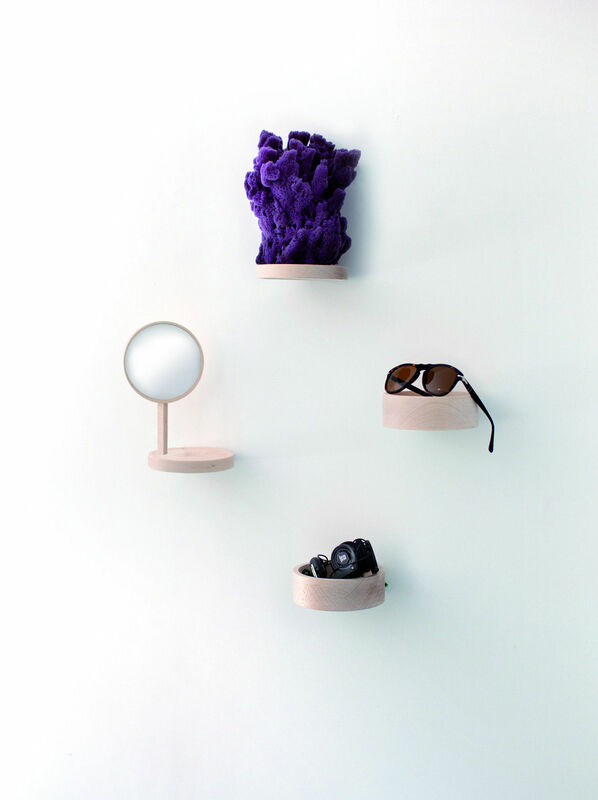 This small shelf will find its place on the walls of our homes! 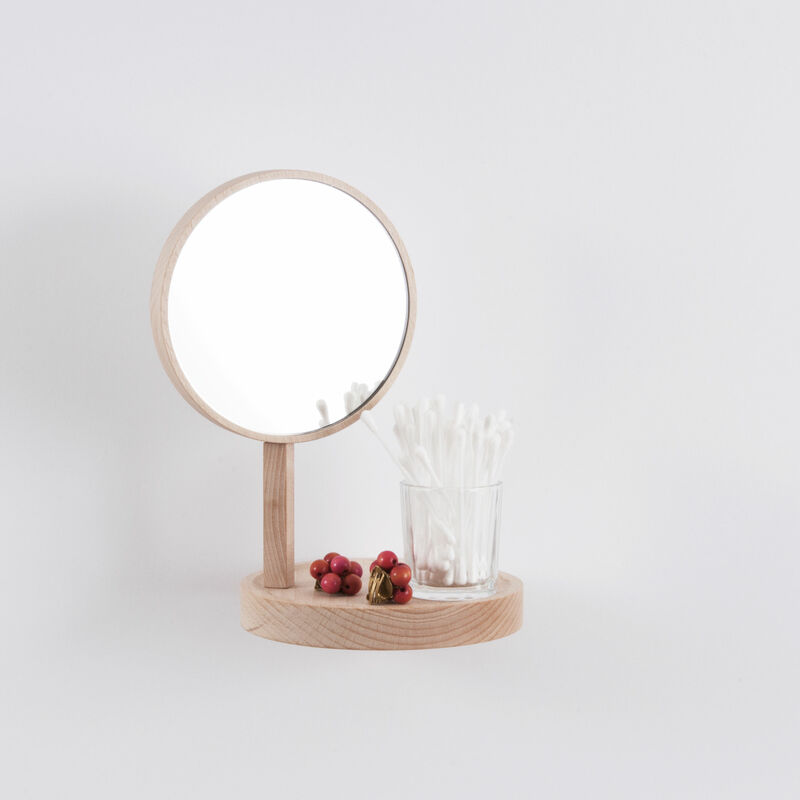 French designer Inga Sempé likes to work with everyday household objects, making them ingenious, useful and interesting.